Despite recent changes, Michael Morgan (center) remains the music director at the Oakland Symphony. These are hectic times at the Oakland Symphony. The East Bay's biggest orchestra recently got a new executive director in Mieko Hatano, who started in June. But the new leadership's direction hasn't been embraced by all of the staff members, which has resulted in significant turnover in the past six months. Three out of four staff members who have recently left told the Express they were dissatisfied with the new management's move away from the socially conscious programming that was championed by interim Executive Director Cristine Kelly. In her 10 months with the Oakland Symphony, she launched the hugely popular, genre-pushing Mixtape series, and she was responsible for booking the current 2018/19 season, which includes an evening devoted to activist Dolores Huerta's chosen playlist and another to the music of West Side Story. Corinne Rydman, a former development associate at the symphony, observed the changes and promptly left in September. "That wasn't the organization that I wanted to work for," she said. What's emerged is a key disagreement in the vision for the Oakland Symphony's future. Should it continue where Kelly left off? Or should it shift gears with its core audience in mind? Hatano is betting on the latter, and she's relatively unfazed by the recent staff turnover. She said it's a common problem in nonprofits and that one of her current priorities as the new executive director is to build a permanent team. "I'm trying to stabilize my senior leadership on my staff, and that's sort of the first part of it because the transition aspect is not, unfortunately, new," she explained. Music Director Michael Morgan, who has been with the symphony for 27 years, is on board with Hatano's plans and sees this transition as necessary for the company's long-term success. "We're trying to transition from the staff we had to the staff we need," said Morgan, who described the desire for both energetic optimism and business pragmatism. "The balance we're trying to strike now is between people who know Oakland to people who know Oakland and know the business of running a symphony orchestra." Hatano was raised in San Jose and came to the Oakland Symphony after working as executive director of Music in the Mountains in Nevada City. Some of the new hires and consultants she's brought on are from the East Coast, which is a source of contention for former staff members who said that outsiders aren't attuned to Oakland's unique culture. 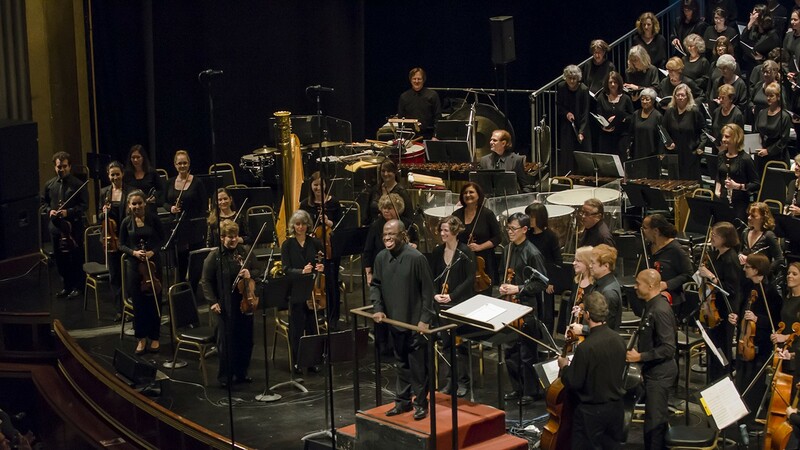 In November, the Oakland Symphony put on a performance of Richard Marriott's Ghost Ship Concerto alongside Brahms' German Requiem and Leonard Bernstein's Take Care of This House that memorialized the young Ghost Ship fire victims with music and film. However, some staff said that the symphony didn't do enough for the community affected by the tragedy while it was promoting the work — in part, because the upper management wasn't from the area. "We are not San Francisco. I feel like people pay premium to live in the Bay Area — people pay to live in Oakland specifically, because we care about community and social justice issues," said a former staff member. "I feel like since there's been a lot of staff transitions and all of these consultants who are not from the Bay being brought in — they just keep missing the message, and they're not even getting the message out to the right people." Morgan said that while he loves the enthusiasm and energy of people who are dedicated to the city, he's looking for candidates with more experience and business know-how. "A lot of the time, if you're just cheerleading for the Oakland side of it, you don't really see that need to really fix the foundation that the thing is running on," he said. Both elements are crucial to the Oakland Symphony, but there are inevitably disagreements about what's ultimately best for the organization. "It's really the health of the organization first and foremost, of course," said Hatano, explaining the biggest factors she considers when making decisions. "The directives of the mission, the board of directors, the plan, and of course Michael's artistic vision." And she acknowledged that not every staff member is going to be happy with every decision. "That's the reality of any organization." Some of these conflicts play out in programming decisions. "Last season, they were willing to use music to have these really incredible, pertinent conversations on the state of our world right now," said Rydman. These shows, including W. Kamau Bell's Playlist and Kev Choice's Rooted in Oakland, blended genres and emphasized social activism in a way that Rydman described as some of the most powerful concerts she's ever experienced at the symphony. Morgan has a different perspective on that season, though. "We had a season where we really had quite full houses a lot of the time, but it was almost like five different full houses," he said. "Each concert had almost a completely different audience. That won't sustain a symphony, because ticket sales don't sustain a symphony." The practical limitations of keeping a symphony running and building a core audience, he said, necessitate consistency in programming that some could perceive as stodgy or restrictive. Despite the huge individual ticket sales, some of the more adventurous programming choices weren't a hit with the symphony's core audience, Morgan said. Branching out to younger audiences without alienating regular symphony-goers is something that Morgan constantly grapples with. "That's always the challenge, because you do things that are pretty interesting and pretty far out there, but you've got to make sure that there's something on it that our core audience identifies with that connects them to the concert," he said. Lyz Luke, a creative consultant with the Oakland Symphony, said the organization is dealing with systemic issues familiar to all nonprofits. She advocates for exploring different financial models beyond ticket sales and subscriptions. "I think when you look at alternatives, you get a much more diverse board," she said. "You actually make more money for the organization in the long run, you're more attuned to the community, so you make more in ticket sales. It's overall healthier."